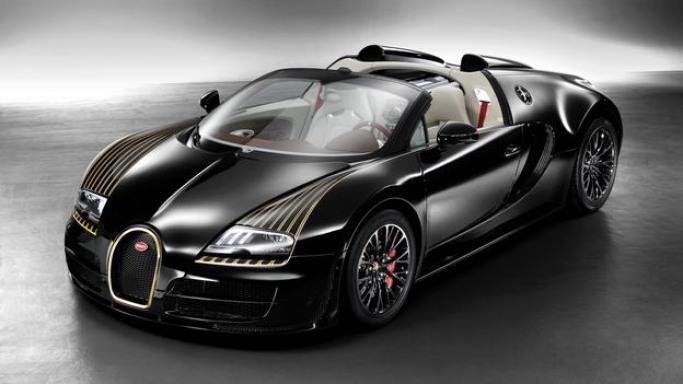 According to recent reports emanating from the global news networks, the latest offering from the luxurious and grand car manufacturer Bugatti is the “Legend Edition” Black Bess' Veyron Grand Sport Vitesse model. The makers of the car however have reported to the media that the latest offering from the company has been inspired by its “1912 Type 18” model. Apparently the name “Black Bess” suggests that the luxurious car is wearing the same monochromatic paint. Interestingly one major attraction about this grand vehicle is fact that it sports a genuine 24 carat gold plating on the front grille, wheel caps and filler flap. The door cards and rear cabin of the special car feature several doodles of the Type 18 model. The manufactures have even developed a special application process so that the interiors won’t be damaged by the constant wear and tears of daily usage. According to reports there is more of gold lining the cabin of the Black Bess. The gold plated interiors also include a gilded EB badge along with an elephant logo. Reportedly the steering wheels even features a deep red rim inspired by the stunning 1912 model. Media reports have confirmed the news that the magnificent and stunning vehicle is on its way for display at the very popular annual Beijing motor show. However till date no reports have emerged on the delicate matter regarding the pricing strategy of this beautiful car, but unconfirmed sources indicate that $3 million is slated to be the starting price. Reportedly only three models of this special limited edition car will be built by Bugatti.